From adding a few pops of colour to filling your home with interesting patterns, there are many ways to usher a little joy into our homes. We show you how. If you’ve read our article, Seek, Create & Share Joy, you’ll know that there are certain, tangible things that can actually bring about the feeling of joy. 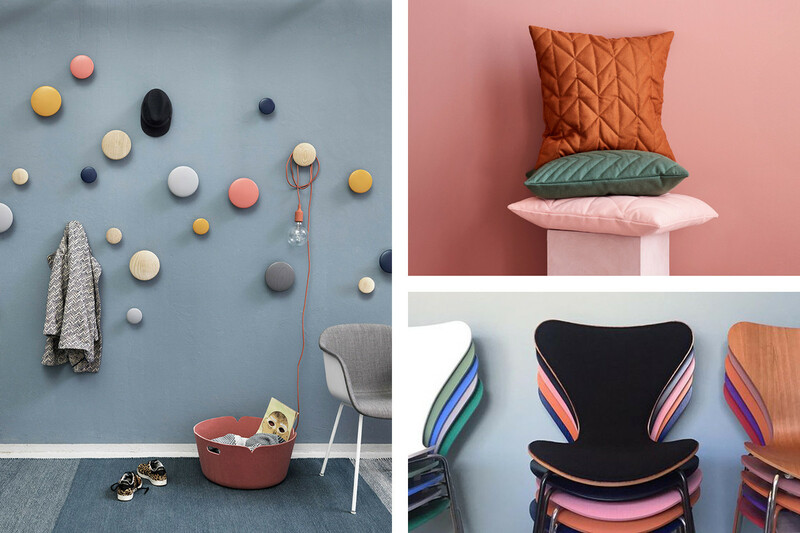 In her 2018 Ted Talk, Ingrid Fetell-Lee talks about the effect that bright colours, round shapes, interesting patterns and multiplicity all have on our mood - and her insights are extremely fascinating. Not only do we feel more joyful when surrounded by those things, but they also have the potential to elicit feelings of joy right across the board by transcending both age and gender. It’s enough to raise a smile just thinking about it, isn’t it? Luckily for us, the joyful attributes that Ingrid talks of - the colourful hues, soft shapes and pattern - are relatively easy for us to bring into our homes, and by doing so, we’re giving ourselves the best chance of experiencing joy every time we wake up, make a cuppa or stretch out on the sofa. And who wouldn’t want that? For many of us, colour is one of those things that has always had the power to influence our mood. Whether it was getting that gold star at school that made us feel so proud, or by choosing to wear a confidence-boosting red outfit for a presentation at work, colour’s effect stretches far and wide. So it comes as no real surprise that certain hues have been proven to bring us joy. ‘Colour, in a very primal way, is a sign of life, a sign of energy’, says Ingrid. In the past, when we were hunter-gatherers, seeing colour would have caused great joy and relief as it meant there was food to eat - and this primal trigger is still with us today. 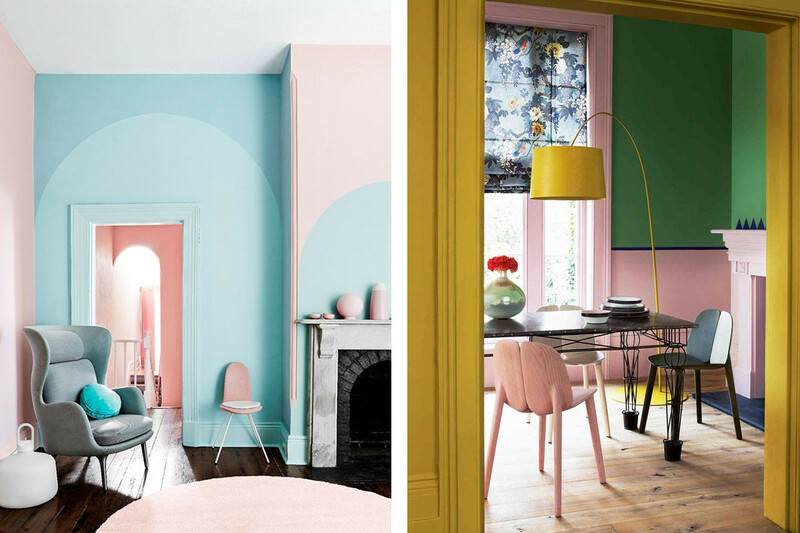 There are many ways to introduce colour into our home - from painting the walls to adding pops of colour with furniture and lighting, the choices are almost endless. Marset’s Dipping Table Lamps with their cheery ombre-effect blown-glass globes and polished brass bases are a great way to inject a hue if you’re a little nervous about using colour. They’re also available in six shades and two sizes, so you could create a particularly joyful look by displaying a few together. In the past, soft, round shapes like circles or arcs would have ‘set us at ease’ says Ingrid. These shapes didn’t have any sharp edges that might have caused harm, so we weren’t threatened by them. It’s an interesting theory and one that seems to stack up in the present day too. If we think of all the things that bring us the most joy, many of them are round in shape: bubbles, balloons, rainbows, clouds and even a smiley face. 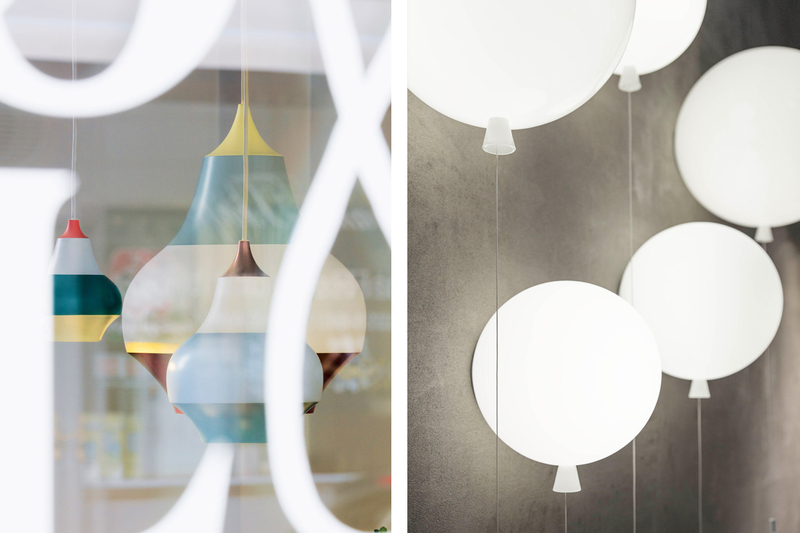 Pendant lights are an easy and practical way to introduce spherical shapes into our homes. We can choose something simple and singular, like the Brokis’ Memory Light, which also appeals to our sense of play, or go all-out and hang two, three or four together for maximum impact. Louis Poulsen’s Cirque Pendants, which were inspired by hot air balloons, were designed to be hung in sets and look simply stunning when positioned this way. Pictured: Louis Poulsen Cirque Pendants & Brokis Memory Wall Light. Image: 1. But pendant lights aren’t the only way to introduce a little curvaceousness into our homes. Fredericia’s Haiku shows that sofas come in all shapes and sizes - including beautifully semi-circular ones. Plus, there’s a whole host of circular and semi-circular hand-woven rugs available too. 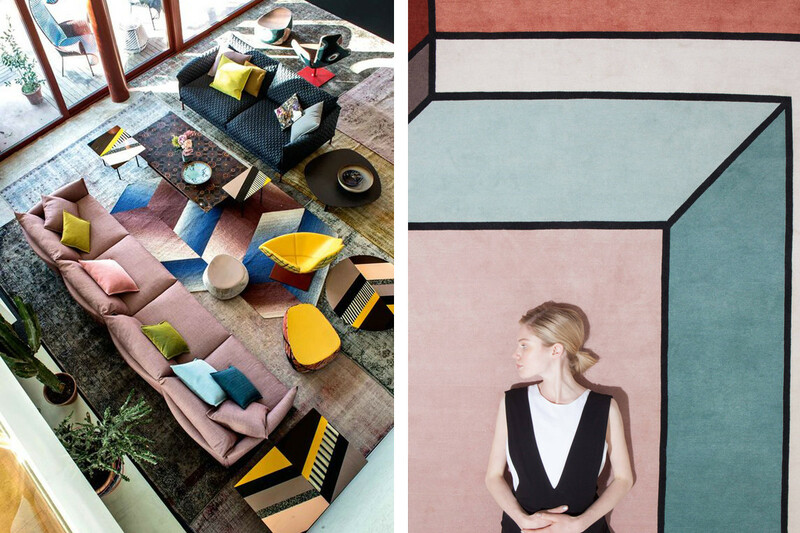 CC Tapis’ exquisite rugs might fall into wish-list territory, but the lifetime of joy they offer is well worth the investment. Why not explore the collection and have a little fun? 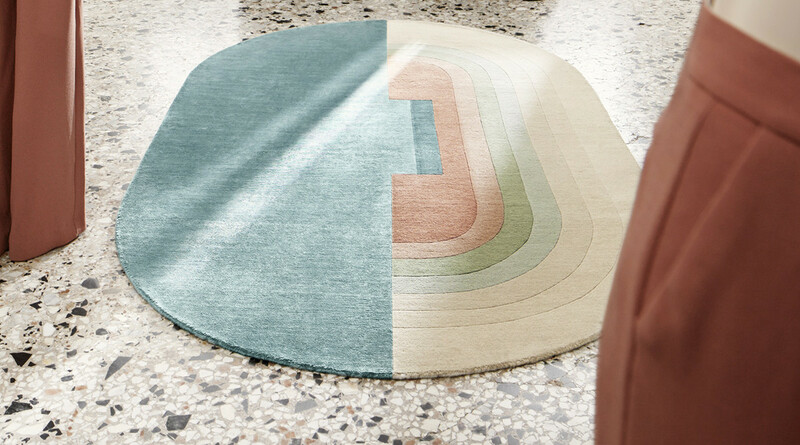 Pictured: The CC Tapis Giudecca Rug. It’s been proven that people working in richly decorated work environments are ‘more alert, more confident and friendlier than those working in drab spaces’, and there is no reason why this theory wouldn’t extend into our homes too. Pattern is extremely stimulating and it certainly brings joy to many of the team here at Nest.co.uk. 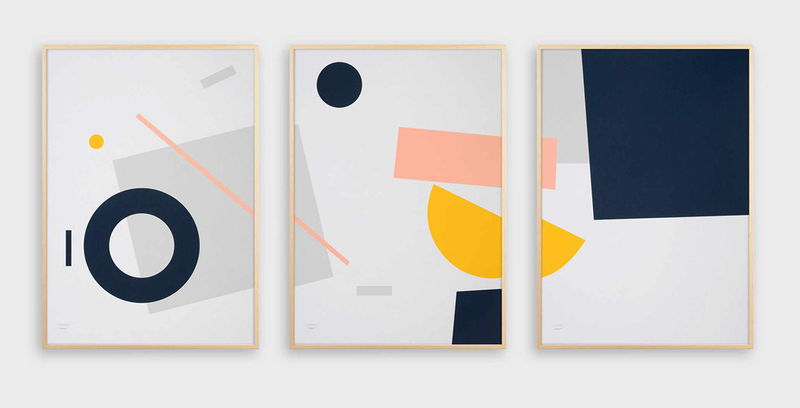 The playful designs of Tom Pigeon make any space more joyful. Pictured: Shipwreck Set of 3 Screen Prints. If patterned walls and tiled floors aren’t your things though, adding interest with framed artwork, colourful rugs, cushions or throws could be the way to go. Smaller - though no less joyous - dotting the colourful, geometric Hay Kaleido Trays around our homes will also never fail to create little moments of joy every time they catch our eye. 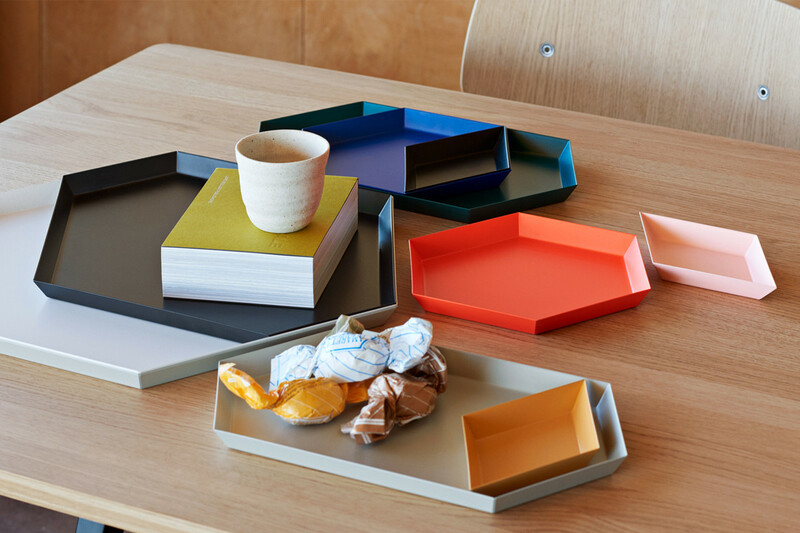 Pictured: Hay Kaleido Trays in an array of colours and sizes. ‘We evolved in a world where scarcity is dangerous, and abundance meant survival’ says Ingrid, which is where our delight at multiplicity comes from. She points to the example of confetti - one of the most joyful substances in the world. A single piece of confetti isn’t particularly joyful in itself, but seeing thousands of pieces together definitely is. The same goes for the sprinkles on your ice cream cone or the plastic balls filling a ball pool. Pictured: CCC Tapis After Party Rug. Having certain things in abundance at home can be a sure-fire way of creating feel-good vibes too. Have you ever flopped down onto a sofa piled high with dozens of pillowy soft cushions? It’s so joyful and comforting. Plants also look particularly joyous when grouped together, and the same goes for candles. We also love how magical Muuto’s Dots Coat Hooks can look when they’re spread across an entire wall. They don’t need to all be used for hanging things on, it’s just the sheer sight of them all together that creates the joyful effect. Creating joy isn’t about redesigning our homes. It’s about adding in a few pops of colour, some softer shapes or interesting patterns that bring joyful moments to our day-to-day. It doesn't matter what your favourite colour is - or isn’t - or what style of design you prefer. Joy can be found almost anywhere, just as long as you are looking for it.